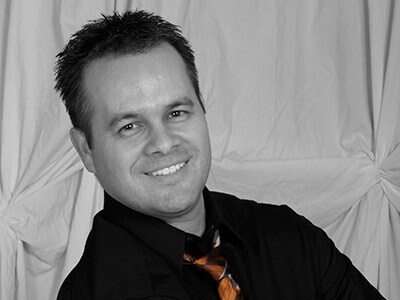 Dr. Gulchak is a sought after speaker across the U.S. and beyond the border. 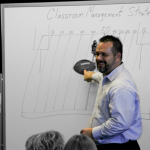 He has shared practical leadership and teaching strategies in conferences and workshops in almost every states, presented in Canada, Puerto Rico, and Peru, and regularly trains and coaches schools in Australia. His delivery is witty, dynamic, media rich and always filled with practical evidence-based research that you can apply immediately! 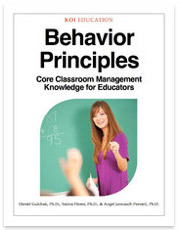 ESE 502: Behavior management: School-wide positive behavior interventions and supports. Dr. Gulchak’s passion for sharing the good news about bad behavior began as an educator and speaker but quickly spread to writing. His blog, titled Mr.ChuckChuck, beginning in 2006, was a constant source for information on classroom and behavior management, the latest research from educational conference, and events where he presented research papers. Now, interactive iBook textbooks are the canvass for teaching educators how to implement positive behavior systems across their district, school, and classroom. Use your iPad/iPhone/Mac to download a FREE chapter now and purchase the books from iTunes – just click on the book below. 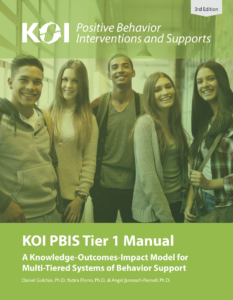 Interactive iBook Textbooks exclusively for your iPad include videos, photographs, and all the documents you need to create your own multi-tiered systems of Positive Behavior Intervention and Support (PBIS). Blood, E. & Gulchak, D. J. 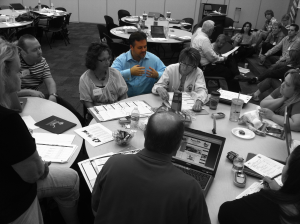 (2013), Embedding “Clickers” Into Classroom Instruction: Benefits and Strategies. Intervention in School and Clinic, 48 (4), 246-253. Gulchak, D. J. (2008). Using a mobile handheld computer to teach a student with emotional and behavioral disorders to self-monitor attention. Education and Treatment of Children, 31, 567-581. Gulchak, D. J. (2008). The special ways of handhelds: Leveraging the power of technology to help special needs students succeed. District Administration. Gulchak, D. J & Lopes, J. A. (2007). Interventions for students with behavioral disorders: An international literature review. Behavioral Disorders, 32, 267-281. Rutherford, R. B., Mathur, S. R, & Gulchak, D. J. (Eds.). (2007). Severe behavior disorders of children and youth: Introduction [Special Issue]. Education and Treatment of Children, 30, 1-3. Gulchak, D. J. (2007). Review of the book Students with Emotional and Behavioral Disorders: An introduction for Teachers and other Helping Professionals, 2nd Edition. Beyond Behavior 17, 32-35. Gulchak, D. J. (2003). Want to improve your memory? 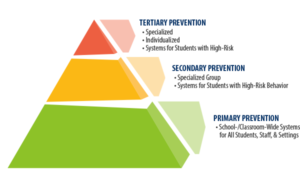 Try these proven strategies. The Toastmaster, 69, 26-27. Dr. Gulchak provides consultation services and professional development training to school and districts through his company, KOI Education. 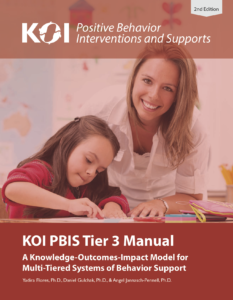 KOI was founded on the principles of providing Knowledge, Outcomes and Impact in education. 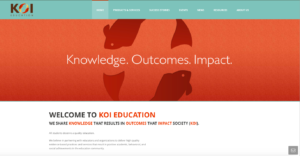 The KOI team is a highly educated expert group with years of experience and specialized knowledge in education, k-12 to university partnerships, school administration, technology implementation and professional development learning. Contact us today so we can first listen to your issues, then offer immediate and sustainable solutions to your problems. Dr. Gulchak’s passion is sharing the good news about bad behavior by building the capacity of educators to improve the learning and behavior outcomes of all students and enable them to succeed in school and life. He is owner and Vice-President of KOI Education which was founded on the principles of sharing Knowledge, Outcomes, and Impact in education. 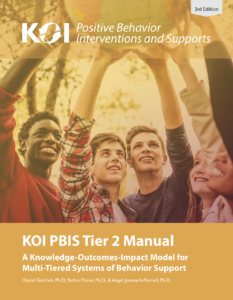 He was a faculty member at Arizona State University, Northern Arizona University and is the director of the Arizona Statewide PBIS advisory council. Dr. Gulchak taught students with intellectual, learning and behavioral disabilities in both public and alternative schools for over a decade. He volunteered as a Court Appointed Special Advocate (CASA) for children who were wards of the court. Has earned the Advanced Toastmaster distinction from Toastmasters International and received the Outstanding Graduate Student Award from the International Council for Exceptional Children. His research interests include effective classroom and instructional management for students with behavioral challenges, school-wide prevention systems, and leveraging technology to increase both student achievement and educators professional development. He has published numerous books and research articles, presents at national and international educational conferences, and provides training, coaching, and consulting to schools and districts. His workshops and seminars are noted for being practical, humorous, and interactive. Dr. Gulchak served on the international board of the Council for Children with Behavioral Disorders, is board member of the Arizona Council for Exceptional Children, and has been the webmaster of four national education organizations. He Blogs, Nings, Tweets and with his supportive wife is the father of two girls, two dogs, and one motorcycle (at a time).